Often Quiet On Wars, Congress Challenges White House Over Yemen Something rare is stirring in Congress. There's growing sentiment to force the president to end U.S. involvement in a war, in this case Yemen, where the U.S. military has been aiding Saudi Arabia. Yemeni militiamen stand guard at the port in Mukalla, on the southern coast of Yemen. Many factions are involved in Yemen's civil war. The U.S. has supported Saudi Arabia, which has waged a bombing campaign against Houthi rebels. But the U.S. Congress is putting pressure on the Trump administration to end its support of a war that's widely seen as a stalemate and a humanitarian disaster. President Trump sent a largely unnoticed letter to Congress last week saying the U.S. is engaged in at least seven separate military conflicts. In most cases, though not all, Trump and his two immediate White House predecessors launched these U.S. military actions without explicit approval from Congress. "Congress has been silent while the executive branch continues to assert its power," said Rep. Ro Khanna, D-Calif. But something is stirring in Congress. There's growing sentiment to force the president to end U.S. involvement in a war. In this case, it's Yemen. The killing of Saudi Arabian journalist Jamal Khashoggi, by Saudi officials, set off a chain of events that's led Congress to become much more vocal in opposing U.S. military aid to Saudi Arabia, which is fighting Houthi rebels in Yemen. "There's certainly no authorization for helping the Saudis in the civil war against the Houthis," said Khanna, who's pushing a measure that would block this U.S. military support. His attempts this year have been stymied so far, but that could change when Democrats take control of the House in January. A man feeds children a paste made of green leaves, in Aslam, Yemen, northwest of the capital Sanaa. It's traditionally a side dish, but with the country facing extreme food shortages, it has become the main meal for some. A Senate measure failed back in March. But in a sign of the changing atmosphere, the Republican-controlled Senate voted 63-37 recently to debate the issue, and that debate could begin this week. Both chambers have based their efforts on the 1973 War Powers Resolution. Congress passed that resolution at the end of the long U.S. involvement in the Vietnam War, which was carried out with no clear declaration by Congress. The resolution says Congress can order a president to withdraw troops within 90 days. Congress periodically threatens to invoke the resolution, but has never forced a president to pull out U.S. forces. "It's often a tool that's more used in political negotiations between Congress and the president that are often resolved through a kind of political mechanism," said Scott Anderson of the Brookings Institution and the Lawfare blog. The Constitution says only Congress can declare war. But the last time Congress formally did so was during World War II, when lawmakers declared war on Japan, Germany, Italy, Romania, Hungary and Bulgaria. Congress has taken steps other than declaring war, such as authorizing the use of military force after the 2001 attacks by al-Qaida. Lawmakers passed another measure authorizing military action a few months before the 2003 U.S. invasion of Iraq. But these congressional moves did not set any geographic or time limits on military action. Presidents George W. Bush, Barack Obama and now Trump have all cited the 2001 resolution as authorization for smaller operations in Syria, Yemen, Somalia, Libya and Niger. In effect, presidents have learned how to bypass lawmakers. "Limited military engagements can often create a lot of space by which the president can act without even really having to deal with Congress," said Anderson. That's what happened in Yemen. Three years ago, Obama approved U.S. aid to help the Saudis with their bombing campaign against the Houthis, who had taken over key parts of Yemen, including the capital. 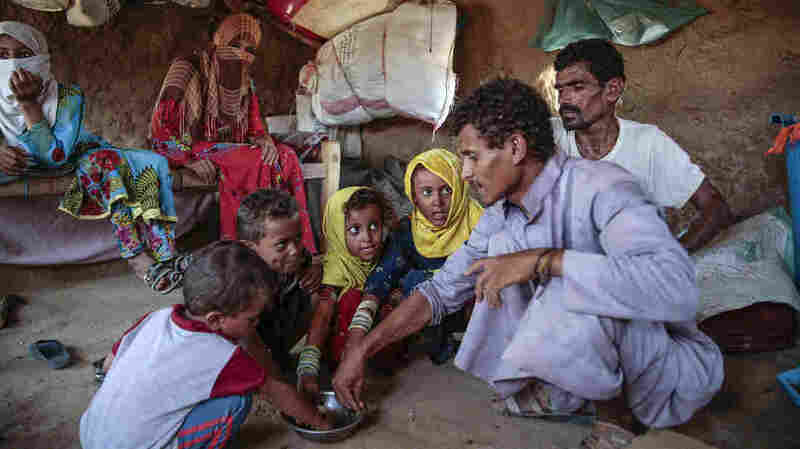 "The U.S. began doing a number of things," said Gregory Johnsen, who was part of the United Nations panel of experts on Yemen until earlier this year. "They provided refueling to the Saudi-led coalition and they also provided intelligence. 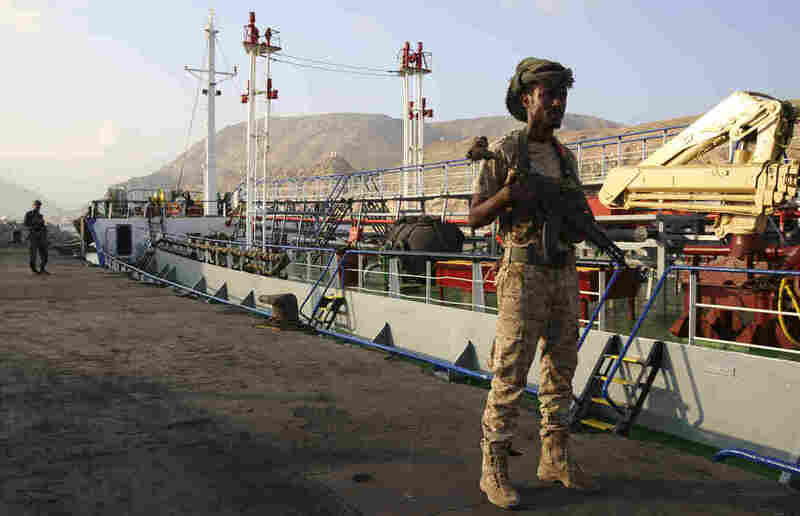 The Saudis would bring a list of targets that they wanted to hit and the U.S. would say, 'Well, we think these actually are not military targets,'" said Johnsen, the author of The Last Refuge: Yemen, al-Qaeda, and America's War in Arabia. The war is widely seen as a stalemate. Civilian casualties have been high. Millions are at risk of starvation in Yemen, considered the world's worst humanitarian crisis. The warring parties opened peace talks last week in Sweden, but there's no sign so far of a big breakthrough. In Washington, even key Senate Republicans, like South Carolina's Lindsey Graham, are now speaking out. "I cannot support arms sales to Saudi Arabia. The war in Yemen has gotten out of control," Graham said recently. Anderson says the White House is already resisting attempts to constrain its actions. "The Trump administration has argued that we're providing intelligence support, we are providing arms and training and advice and intelligence information, but we are not directly participating in hostilities," said Anderson. Trump has said little about the war but remains strongly supportive of the Saudis. Rep. Khanna says the U.S. military should continue to pursue al-Qaida and the Islamic State, which is also part of the U.S. involvement in Yemen. But he thinks support for the Saudi military campaign is counterproductive — and Congress has the right to stop it. "There's a reason the Founders wanted Congress to be influencing matters of war and peace," Khanna said. "Congress, they thought, would be less likely to go to war. And Congress is directly accountable to citizens who are going to bear the cost of war." Previous audio and Web versions of this story incorrectly reported that the last time Congress declared war was against Japan in 1941. The last time was on June 5, 1942, when Congress declared war against Romania, Bulgaria and Hungary.